Firewire Adapter with 6 Pin Female Connector. And a 4 Pin Male Connector. 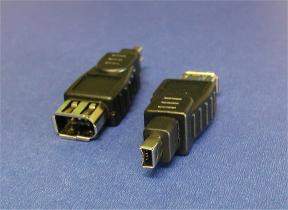 Used to connect Many Ilink Style 4pin Camcorders to 6pin Cable.